As the most common joint disorder in the United States, osteoarthritis impacts 10% of men and 13% of women over the age of 60. This chronic and degenerative condition occurs most frequently in the hands, hip, and knees, leading to reduced range of motion and ongoing pain. Until now, no treatment was capable of offering significant OA pain relief while also addressing the root cause of the problem. Platelet-rich plasma (PRP) has shifted the treatment of OA by providing a safe, natural, and powerful way to not only reduce OA symptoms, but address its root cause as well. This is exactly why the emerging potential of PRP is gaining traction for treating knee pain among senior citizens. 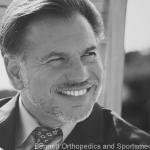 Dr. William Bennett of Bennett Orthopedics and Sportsmedicine has long known the power of PRP in treating chronic knee conditions like osteoarthritis, which is why he has been utilizing it as a standalone treatment and supplement to surgery for several years. If knee osteoarthritis has restricted your range of movement and diminished your quality of life, Dr. Bennett has the in-depth knowledge and extensive experience to use regenerative medicine to alleviate your chronic pain and stimulate accelerated healing in your joints. How Does PRP Address Knee Pain? PRP contains a concentrated level of platelets that are drawn and spun from a patient’s very own blood. Once the concentrated collection of platelets are suspended into a small amount of plasma, they are injected into the knee to target the injury or degeneration causing pain. Over time, the potent growth factors and proteins in PRP stimulate tissue to heal and regenerate in a way the body wouldn’t be able to do on its own. PRP is an especially valuable treatment for senior citizens because it is found to have no major side effects and is a safer and less invasive alternative to knee surgery. For seniors who want to improve their joint health and range of motion without being exposed to the risks of surgery, PRP is a great alternative. 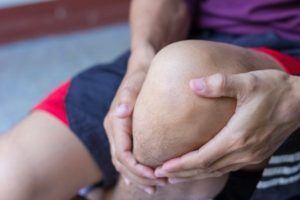 In clinical trials, knees treated with one or two PRP injections enjoyed a reduction of pain and stiffness, as well as improvement in knee function. MRIs also showed that the degenerative process had not progressed any further once the PRP took effect. To address your own OA symptoms and develop a results-driven treatment plan, visit Bennett Orthopedics and Sportsmedicine in Sarasota, Florida. Dr. Bennett will evaluate your condition and create a treatment plan to meet your needs. Call (941) 229-1648 to schedule your appointment today.